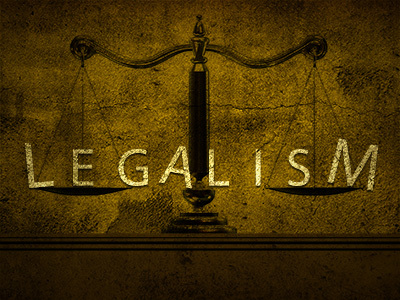 Legalism is not bad Christianity. It isn’t Christianity. It’s another religion entirely. 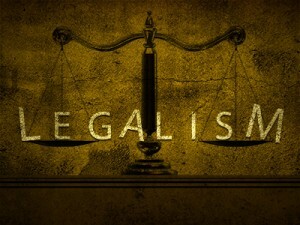 Legalism has always been in the yard of the church. It seeks entry. It lies under the surface, creeping, twisting, masquerading, stalking in the trees for those it can devour. It is the tares among the wheat. Jesus confronted it. The apostles dealt with it. And we certainly deal with it today. For the sake of clarity, by “legalism” I mean seeking God’s forgiveness or acceptance based on your ability to perform or keep the rules. These “rules” can be rules in the Bible, the rules of a leader, or the rules we self-impose. Legalism removes Christ as the object of faith, and makes one’s own merits the object of faith. It makes the power source one’s own strength to keep the law, and not the Spirit of God available in the true gospel. If what is offered to us in the gospel is “Christ’s righteousness” (2 Cor. 5:21), then what is it when we seek justification based on our own righteousness? It’s not the gospel, and it’s not Christianity. 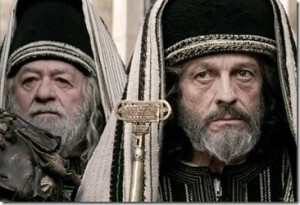 These are people that kept the rules, thought they followed God, had good works, but in the end were found to be imposters. They were not Christians. Jesus never knew them. They practiced “lawlessness” which means they were ultimately judged by the standard they trusted in—not grace, but their ability to keep the rules. The Bible is clear that no one is righteous. James tells us that even someone who keeps all of God’s laws “yet stumbles at just one point is guilty of breaking all of it.” God is holy, which means He exists in the absence of sin. One sin, then, violates our fellowship with God. By grace alone through faith alone in Christ alone. 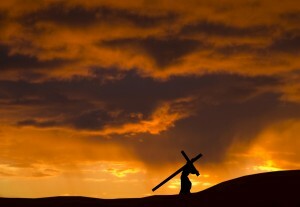 Jesus sinned my sins and died my death on the cross. By trusting in his sacrifice, I am accepted. I am saved. Now, lest I be misunderstood. I am not saying that any true Christian that struggles with legalism is not a Christian. But there are certainly some who call themselves Christians that are not. They are part of another religion, but exist, walk, and even teach, among us. Most Christians I know (including me) struggle with legalism. As a matter of fact, it’s basic human nature. Paul calls it the “elemental spirits of the world” in Colossians 2. In other words, it’s elementary. It’s not only how we think and operate, it’s how everything in this world works. Work = reward. We get that. But that’s not the kingdom of God. Christ’s work = my reward. That’s grace. So when Paul tells the Galatians, who’d been infiltrated by legalists, that they’d “fallen from grace,” he didn’t mean they were unsaved. He also calls them “brothers” (vs. 11), so he accepts them as church family. What he means is that they’d fallen from the way of grace. It’s like telling someone rowing in a sailboat that they were missing the power of the sail. They’d been poisoned by this false religion from false teachers, and it was robbing them of the life of the gospel. Be certain that your faith is not in self, but in Christ. Not in your work, but Jesus’ finished work. Run from the other religion, which will neither bless you, nor save you. 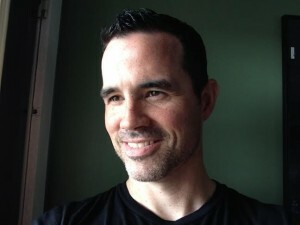 Derek’s book Discipleship by Grace is available at amazon.com. That’s why I an reading the New Testament with an eye out for verses that say you are saved by grace. Thinking I am “breaking up the fallow ground” in hopes that God will give me the faith to believe, To REALIZE that Jesus dIed for my sins according to the scriptures. I also have had OCD for my whole life. Thanks for your thoughts, Janine. I’m thankful the Lord has been working in your life through the good news of the gospel!